I haven’t told this to many but 2013 was a tough year for me. Lots of psychological battles and reflections because I felt that I responded wrongly on many occasions or that I could have done better for certain things. That said, I think slowly but surely, I’m distilling my world views, thoughts, and principles into a consistent whole. For 2014, my hope is that I will not waver from these beliefs or lifestyle choices even as changes come into my life. I also hope that I’ll be a pillar of support and encouragement to all my friends. I don’t have many friends but every single one I have, I cherish and value. Looking back at 2013, I think my favourite moment was exploring Sydney on my own. Enjoying a ginger brulee tart from Bourke Street Bakery (most memorable pastry for 2013! 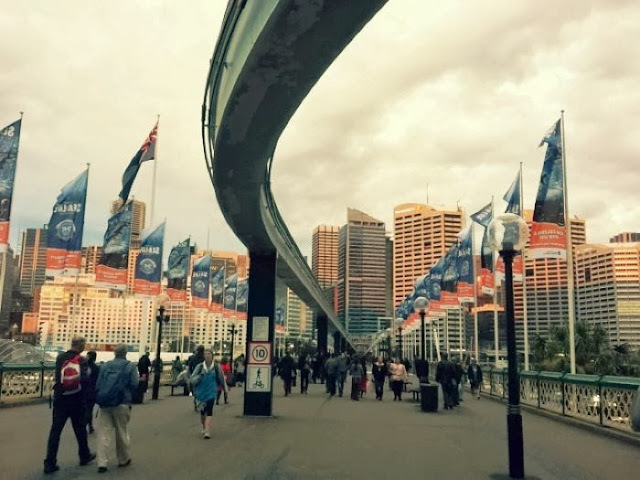 ), chatting with enthusiastic baristas, experiencing the sunset at Darling Harbour that bathed the skyscrapers in golden and pink, going for a morning run in the comfy 17 degree weather…. basically moments of solitude and quiet reflection. The short stopovers in Sydney were refreshing in that way.